Stillman Trust & Asset Management is pleased to announce the winners of the Eickman Scholarship, an annual scholarship awarded to four area high school seniors who are interested in pursuing a career in medicine. 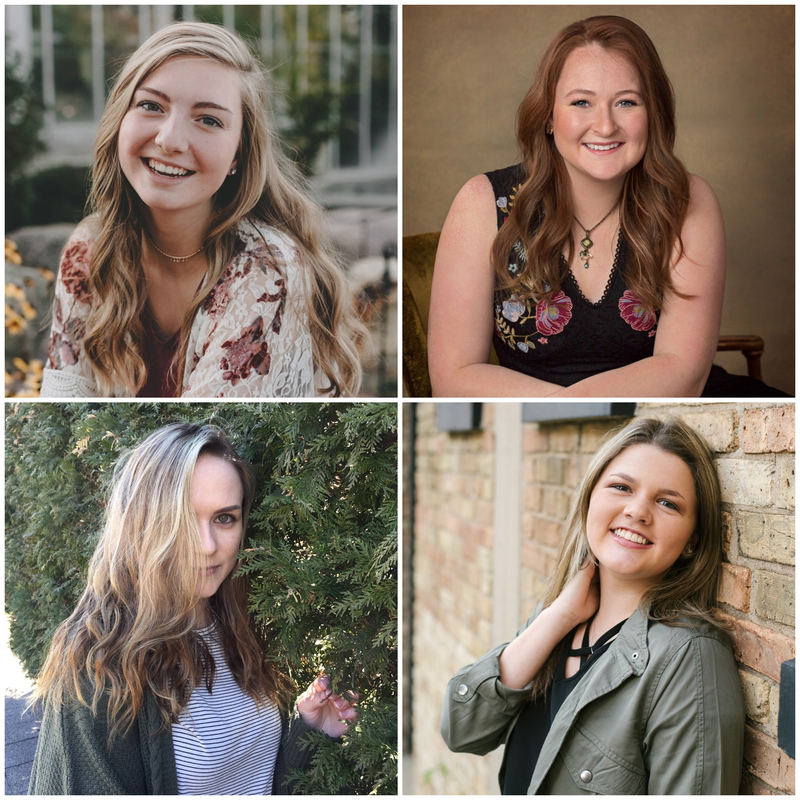 The 2018 recipients are: Hannah Bartlett, Byron High School; Alyssa Theisen, Oregon High School; Nicole Tepinski, Rochelle Township High School; and Camryn Lauer, Stillman Valley High School. Each student received a $1,500 scholarship. Now in its 23rd year, the scholarship fund was established by former Stillman Bank President, William E. Eickman as a way to give back to the Ogle County community. Eickman was always grateful to the people of Ogle County for their support, recognizing that they were the reason for the bank’s success since 1882. The scholarship is available to high school seniors attending school in Byron, Oregon, Rochelle and Stillman Valley. The fund is designed to award a scholarship, not less than $1,500, to one recipient from each of these four communities. Each year, committees review all of the applications that are submitted, and from this process finalists from each school are selected for personal interviews with the review committees. Any high school senior at Byron, Oregon, Rochelle, or Stillman Valley High Schools who is interested in applying for the Eickman Scholarship is encouraged to inquire with their guidance counselor. Application forms are available from each school’s respective counseling office and must be submitted by the assigned deadline. A copy of the student’s high school transcript and proof of acceptance at an accredited college or university must be attached to the application. Stillman Bank is pleased to be able to offer this scholarship, which has gone to a number of deserving young men and women over the last 23 years.